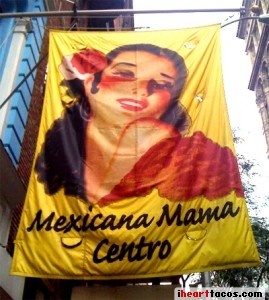 It’s been a few years since we ate at Mexicana Mama Centro on 12th St. 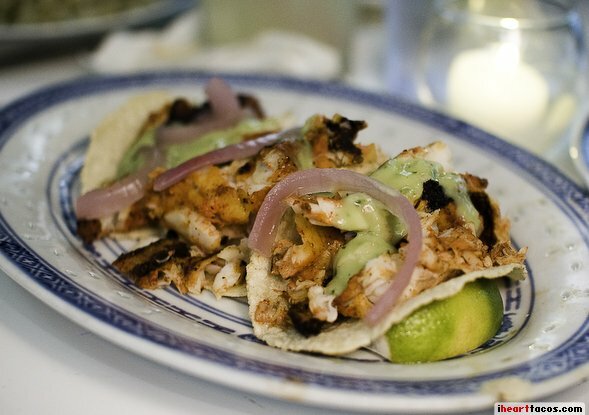 I remember it was overpriced for Mexican but I didn’t remember how the food was (that should have been the first clue). Since the place is usually pretty full and it’s a little expensive, I figured it had to be decent. I ordered the Taco De Puerco: “three corn tortillas filled with chile roasted pork, chihuahua cheese and black beans, served with mexican style rice and avocado” for a recession-neglecting $14.25.